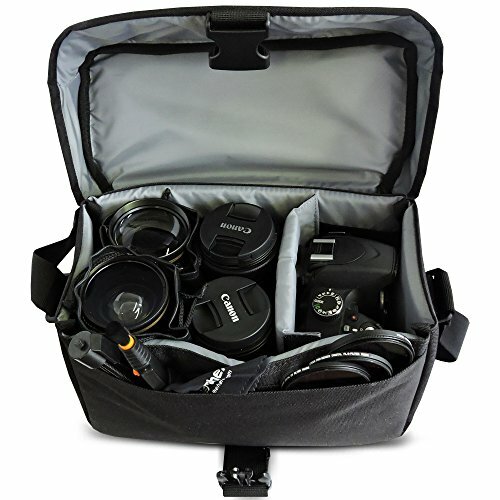 Includes a CANON Well Padded Large Camera CASE / BAG for Canon EOS 80D, 7D, 70D, 60D, 7D Mark ii, 6D, 5D, 5DS, 5DSR, EOS Rebel T6i, T6S, T5i, T5, T4i, T3i, T3, T2i, SL1, 760D, 750D, 700D, 650D, 600D, 550D, 1200D, 1100D, 100D, EOS M3, M2, T1i, XTi, XT, SL1, XSi DSLR Cameras. 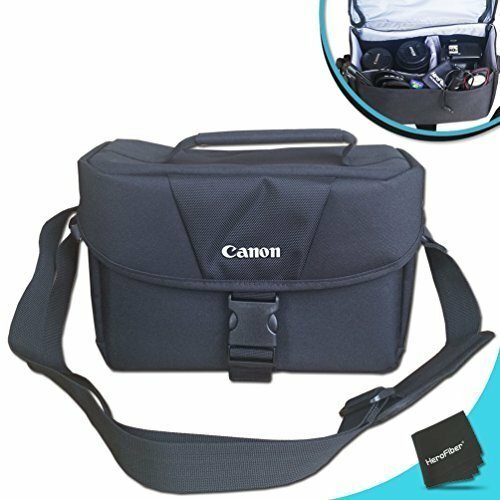 Buy CANON Well Padded Large Camera CASE / BAG for Canon EOS 7D 70D 60D 7D Mark ii 6D 5D 5DS 5DSR and All DSLR Cameras at Discounted Prices ✓ FREE DELIVERY possible on eligible purchases. 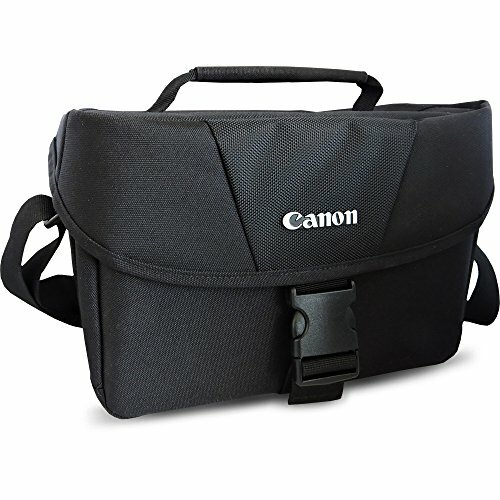 The CANON Well Padded Case is Designed to fit a DSLR Camera, extra Lenses and other Commonly used Gadgets and Accessories such as Filters, Batteries / Charger and Memory Cards. 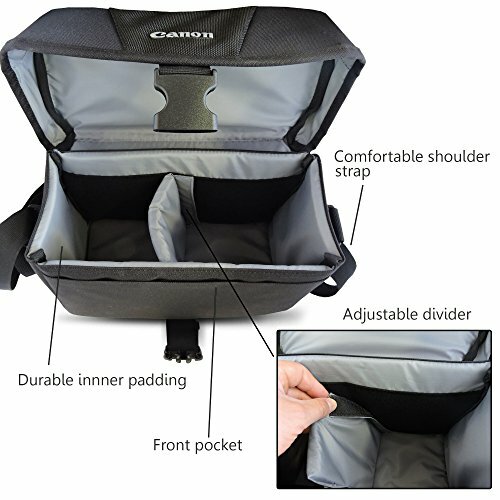 CANON Camera Case / Bag has a Custom Interior Divider designed to separate and customly fit items with in the case, it's an overall Ideal Case / Bag for any DSLR Camera and Accessories. 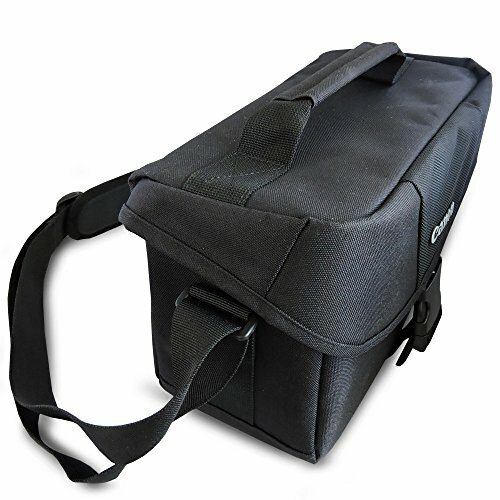 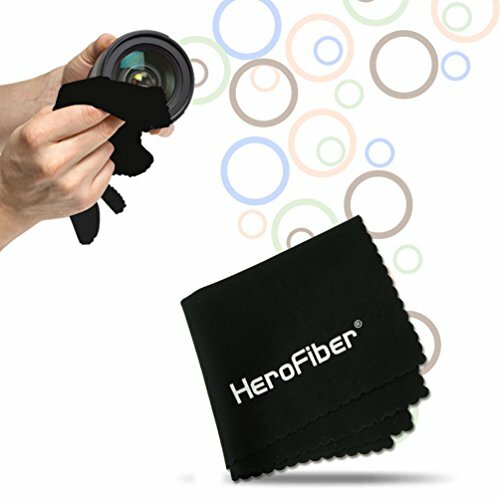 Made of ShockProof, Watter-repellent Material the Camera Case Bag is designed to protect a Camera or Lenses from common damages such as accidental drops and falls, moisture and dust. 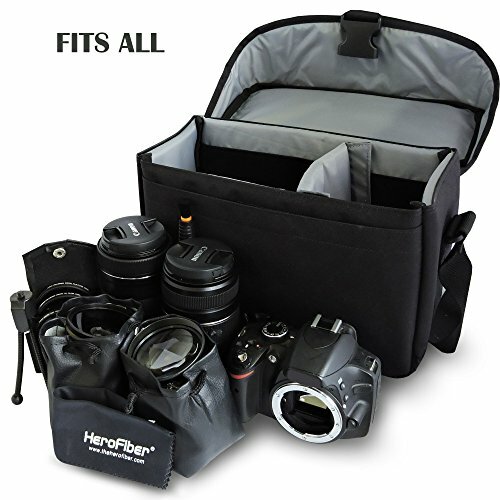 Case measurement - 4 1/2' D x 10' W x 7' H - the kit Includes a Comfortable / Adjustable Shoulder Strap and a HeroFiber® Ultra gentle cleaning cloth designed for cleaning electronics and accessories.